Named one of “13 Detective Book Series You Obsessed Over as a Kid” by BuzzFeed and the inspiration for a hit Disney film, the masterful Great Mouse Detective is back and ready to find out what happened when two royal princes disappear! With Sherlock Holmes away on a case, Basil and Doctor Dawson find themselves at loose ends until an urgent message arrives: Basil’s services are required by the noblemice of Marlborough House! Marlborough House is the home of Edward, the Prince of Wales (second child and eldest son of Queen Victoria) who lives there with various children and family members. Unbeknownst to the human royals, there is a corresponding clan of noblemice living there as well. At the moment, the human royal family is hosting the visiting royal family of Bohemia, along with that family’s corresponding group of stowaway noblemice. However, the teen noblemice of both houses have vanished without a trace and everyone fears that one of the royal dogs may be responsible for the disappearance. Can Basil help? It’s going to require all of the great detective’s skills to solve this case! 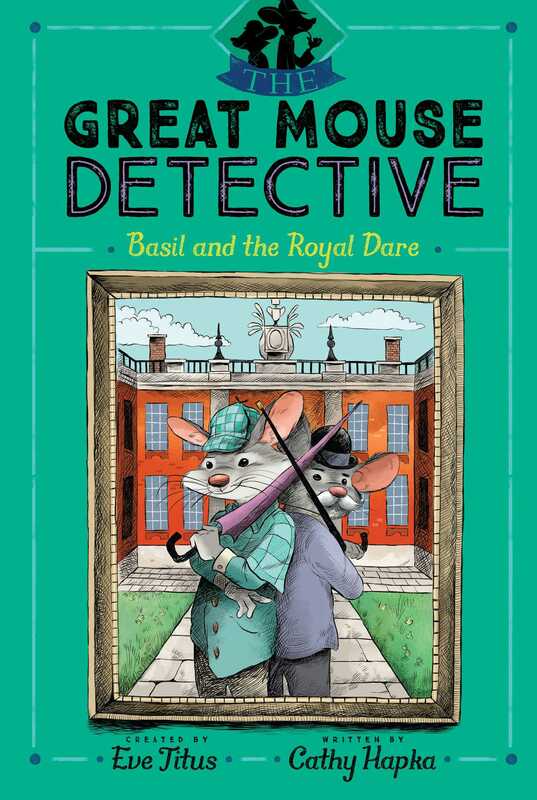 Especially since it involves princes and pups, royal mice, the latest in photographic equipment, and a possible love match…but they don’t call Basil the Great Mouse Detective for nothing. Eve Titus (1905–2002) wrote many books for children during her long career, including the Basil of Baker Street books and the Anatole series. Dave Mottram is an illustrator living in Ohio who worked as a graphic designer for many years which led him to pursue his passion for illustration. He paints traditionally and digitally with color and layers and line. He loves tacos, animals, tikis, and nerding out on art supplies.